Today was a “marathon stage” where we are not allowed to get service from our crew during the fuel stop. We have to fix everything ourselves. 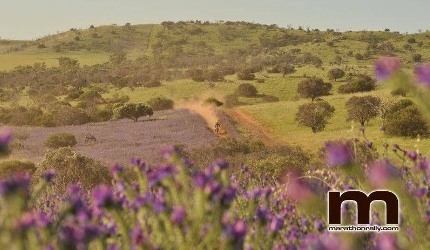 For me this is normal, like during Dakar. Rule number one: TAKE CARE. 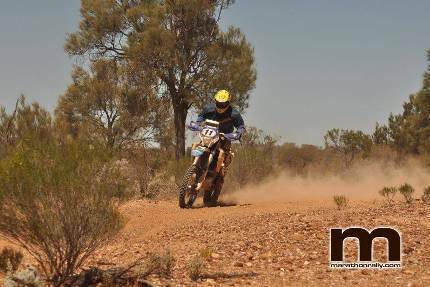 Another fast sandy stage, through very varied terrain. Very fun and very fast. This stage was also the same as I did back in 2009, when a stick hit my foot so hard it pierced through my boot and leg. Bearing this in mind I was extra cautious. Very cold morning and a 86 kilometer liasion to the start. All frozen when I arrived. Started the stage at quite fast travelling speed, “happy speed” I call it. Just the speed to feel safe and have fun. Then when warmed up paced up a bit and passed my team mate Aussie #26 Ben O, who had some bike problem. At kilometer 125 I passed my team mate Italian Manuel Lucchese who crashed at 150 kmph in a rutted washout. The helicopter was there to help him so nothing I could do. But I sure rolled off the gas after this. Continued the whole stage not pushing it and mostly relying on visual judgment of the track not trusting the roadbook too much. Basically just cruising along, but still quite fast. When back in the bivouack I heard about many crashes and broken bikes today. And many of my Husaberg team mates: Mick Heuchan #73 bounced big off his bike landing in a tree, Team boss Garry Connell #14 crashed at exactly the same spot as Manuel, lucky to be able to continue. And #26 Ben O also came off hard. Damien Grabham #73 still suffering from a big crash two days ago, did well until his engine stopped just a couple of kms from the finish, and Mick towed him as the good team mate he is! I guess my decision to roll off the gas today was a good move. 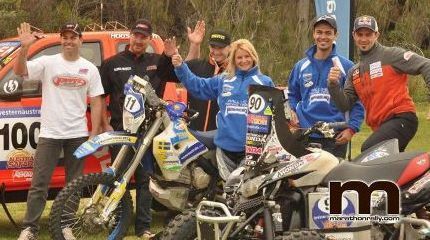 Sam Sunderland Husaberg #10 had a really good stage, finishing second – well done! Now I’ve moved up to 18th general, and I plan to continue my “cruise” to the finish. 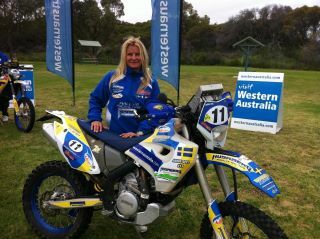 This entry was posted in 2011, Dakar, Rally and tagged Annie, australia, bike, husaberg, motorsport, rally. This is how every rally day should be – so much fun! Done some 450 kms of special stage and this was the best track so far… Just my kind of terrain, sandy narrow trails, then winding through bushes and woodland, open fast winding tracks. Hands were very sore after hanging on to the handlebars all day. Also had an off in a deep rut, twisted handlebars a little but could straighten at service stop. Now in 20th position overall. It was tough getting there… More challenging days to come. Stage 5 will be a “marathon day” = no service allowed during the entire stage. Note to self: DON’T CRASH! 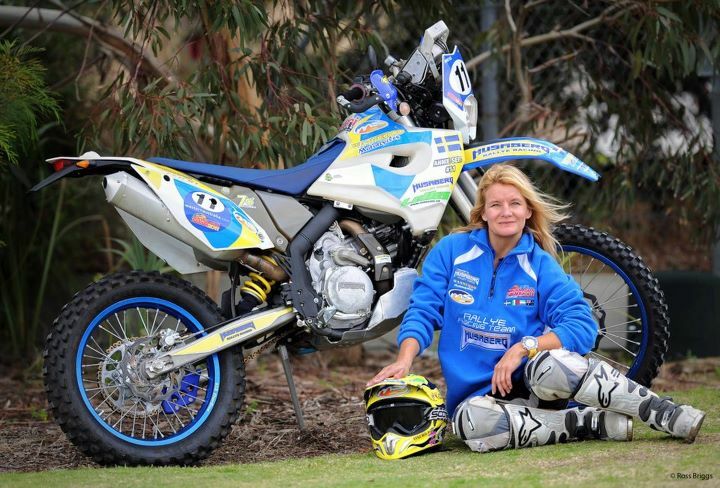 This entry was posted in Dakar and tagged Annie, australia, bike, husaberg, motorsport, rally. Now the going gets tough. A crazy long and dangerous stage. More than 550 kilometers of special… And super fast and dangerous in many sections. The roadbook was very unpredictable, some warnings for dangers – and then NO warnings for even worse dangers. Also some navigation notes (tulips) were totally off, could be up to a kilometer off distance. This made navigation VERY difficult, and all riders ended up making big mistakes, riding around trying to find the route, meeting each other backtracking. Even top riders lost some 20-30 minutes when missing turnoffs!! Most dangerous were the fast straights along barbed fences doing some 160 kms/hour. 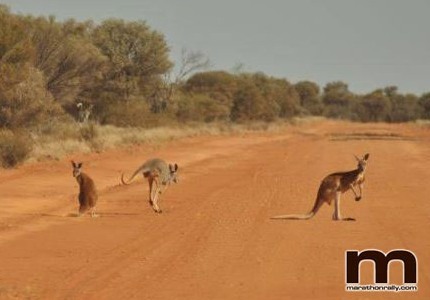 Hitting a rock, rut or a kangaroo at this speed is not good. So I decided it was not worth pushing. But I had a plunge today, when letting #75 on a big KTM 950 (super fast bike! 178 kms/hour on the straight) overtake me. 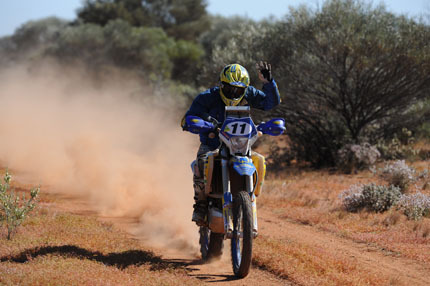 In his dust I hit a deep rut (not marked in the roadbook) and tumbled over. Lucky I wasn’t going fast, so nothing damaged. Last section my hands were really tired and sore, and forced me to slow down. Came in 22nd – safe and sound! 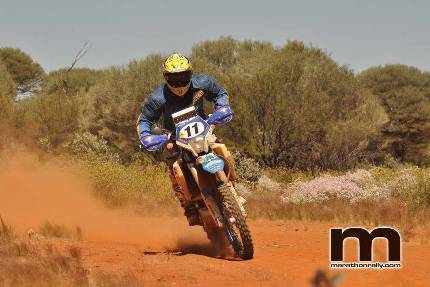 Oz Safari: Stage 2 – The race is on! Today stage 2: Good stage, very fast going. Kept a nice pace, trapped in some dust. Decided not to take any risks. Garry had a fall today, got little winded. Sam was not starting today because he hit a kangaroo badly yesterday and got a concussion. David, Damien, Manuel and Mick are all going strong. My fuel problem is hopefully solved! The mechanics worked late night and found what was wrong. The extra tank was not connected properly, and therefore I was short on fuel on stage 1. Would have been among the top 20 if not losing all that time… Well the race continues. We have 2 mechanics from Sweden, my very good friends: Magnus (Mange) Arnalid serving Team Husaberg and Rikard Epstein taking care of my bike and me :-). 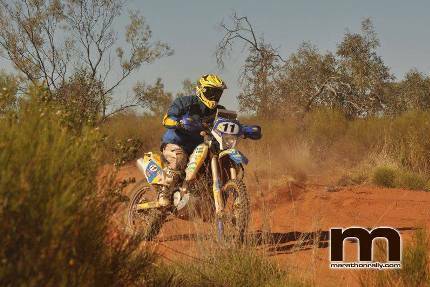 This entry was posted in 2011, Rally and tagged Annie, australia, bike, husaberg, motorsport, rally. The Safari rally has kicked off with a long day. Good riding but very tricky navigation. Made lots of time and positions, starting from 33rd position (due to nav error on prologue). But the good going ended 25 km from the finish where I ran out of fuel. Very surprised to see there was still some fuel left in the tank! Tried to figure out the fuelsystem of the extra tanks on the Husaberg. Laid it down on the side, lifted the rear, tilted, shaked, but still couldn’t get the fuel. Waited for riders behind to stop and perhaps give me some fuel. First to arrive was #75, but he couldn’t get enough out of his bike. Then #89 arrived and I got 2,5 liters – just about to get me to the finish riding very slow and gently. 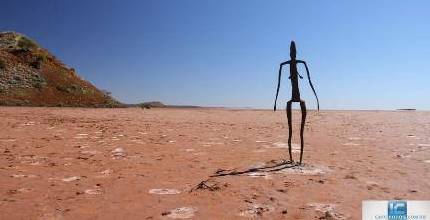 #89 followed me all the way and ended up towing me on a rope to the bivouack. Finished 27th today, despite losing about 25-30 minutes on the fuel stop. Would haver been within top 20 otherwise. Well the race continues, many days to go! Garry Connell had a fantastioc day, came in 10th. Sam Sunderland hit a kangaroo and crashed through a fence, concussion. 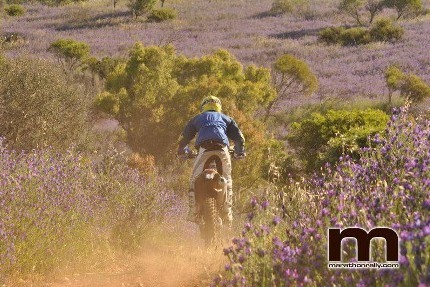 Finally some sunshine in Geraldton where the prologue of the Oz Safari 2011 will take place. 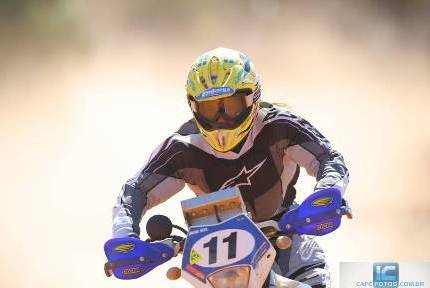 There’s been too much rain in Perth, not the warmup I was thinking of for a desert race. Feel sorry for my team mate Sam Sunderland who had a big off and got a little bruised. No big worries, he will race! All these blue flower fields and hills!!!! Today press meeting and then the ceremonial start at Perth Harbour. Follow my team mate Italian Manuel Lucchese’s blog – good stuff! 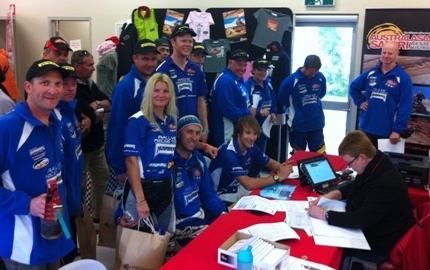 Craig Lowndes, Manuel Lucchese och Cyril Despres and a couple more. Went out for a test ride with Garry Connell and young UK MX star Sam Sunderland (www.SamSunderland.com) to get the feel of the bike. Sam had already been out the day before, and now shot off like a rocket. I just cruised a nice steady pace until I was launched up in the air, feet over seat… My suspension was way too hard and almost spit me off. Did some 60 km before heading back. Richie (chief mechanic), Gray (mechanic) and Damien Grabham (rider) all got involved in changing the springs and sorting my suspension out. As I was going out for a test, it started pouring with rain again… Test postponed. Now prepping for scrutineering, organising safety kit, tool kit, registration papers ect. Arrived Team Husaberg Australia HQ. Met up with my team mates – good bunch of people!